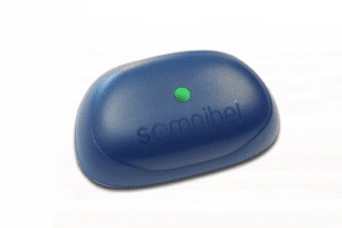 The Somnibel Position Trainer is the ideal treatment for patients who suffer from positional sleep apnea or snoring. Sleep apnea is the medical term for an interruption of breathing for longer than 10 seconds. Very loud snoring can be a sign of sleep apnea. When breathing stops occur especially when you lie on your back, this is called positional sleep apnea. In people with positional sleep apnea, these stops can be prevented by sleeping on their side. People sleeping in the supine position have twice more breath interruptions than people who sleep in a different position. It is precisely these people who can benefit greatly from the use of the Somnibel Pro. 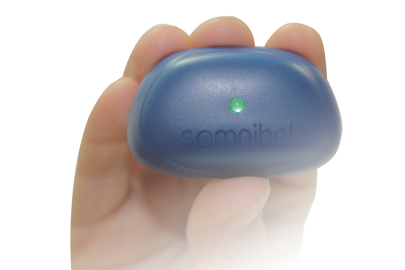 It is a small, lightweight device that you wear on your forehead during the night. Through stimulating vibrations you get a reminder when you lie on your back, so you lie on your side after the reminder. These vibrations do not disturb your sleep. 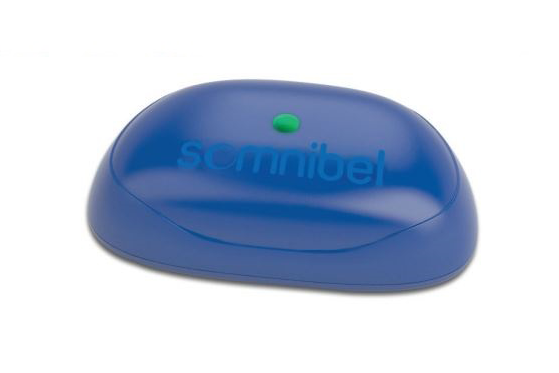 The Somnibel Pro comes with 10 adhesives and software which reads the device. 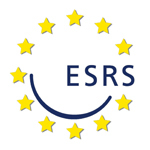 This way you can read a report of your sleep every day. Continuity of therapy (free replacement device in case of malfunctions, including any repair costs). Free software so you can read the Somnibel Pro yourself. 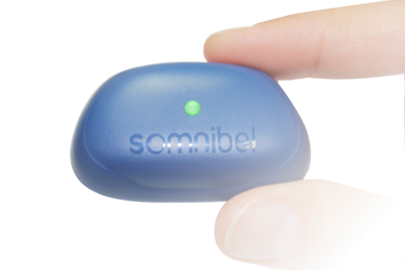 If you have any questions about using the Somnibel Pro, please contact us.